​Becoming a Shero is more than imaginative child's play. It's learning the qualities that are key to becoming a girl to be admired, followed and known for helping others. This academy concept includes simulating an environment in which the girls can learn the basics about owning a business, identify with other kids who have started successful businesses and develop their own talents and gifts to create a business of their own. To help them achieve this goal we are creating a storyline to compliment the program. 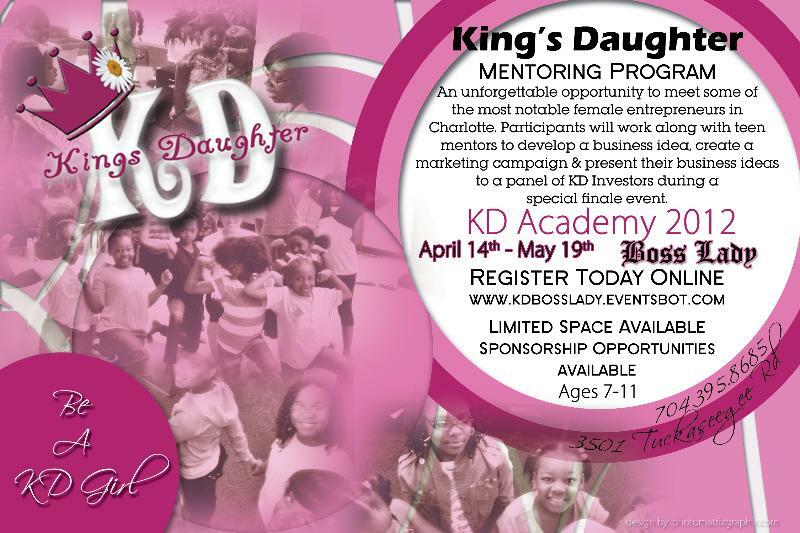 The storyline includes four girls who work together to start a KD Boss Lady club at their school. We will take the participants along the journey as our four “Boss Lady” girls help them start businesses of their own. The characters developed for the program will lead the girls through the challenge of becoming a Boss Lady by sharing their adventure of becoming Boss Ladies as well. Through interactive websites, writing assignments, creative challenges, creative reading assignments and more the characters will spring to life and take the girls along on a wild adventure to do the unthinkable-start their own businesses and be the Boss! We are introducing the girls to a “charm school” experience, KD style. The academy is a four-week experience during which we will focus on a different aspect of charm school and provide interactive, fun & creative hands-on training for the girls. Our mentoring sessions will focus on the following themes: (1) I’m A KD Girl (Identity & Purpose), (2) The First Impression (Posture & Public Speaking), (3) I Like Me (Hygiene, Hair & Health) and (4) It’s My Pleasure (Hospitality & Dinning Etiquette). 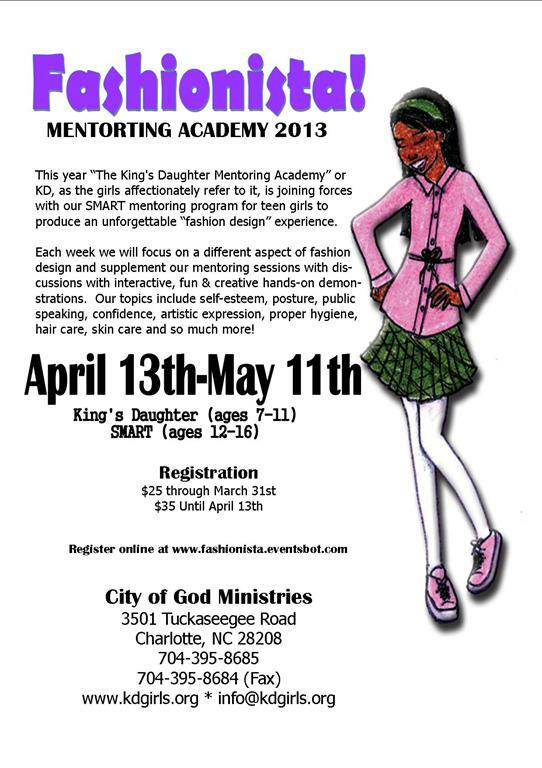 You don't want to miss our 2010 Mentoring Academy, called "Express Yourself". "Express Yourself" sends a targeted message to girls to learn how to express their feelings, ideas and creativity through the arts. 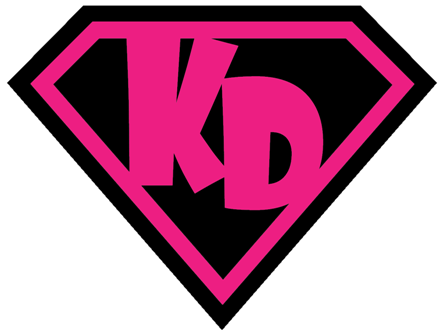 KD will host a 6-week mentoring academy, April 17th -May 22nd,during which girls will enjoy a mentoring experience by local teens, exposure to the arts and an opportunity to major in an art form and "Express" themselves before our local community in a finale event like none other. They will choose a major track: Art, Dance or Drama and undergo intensive training in that art form. 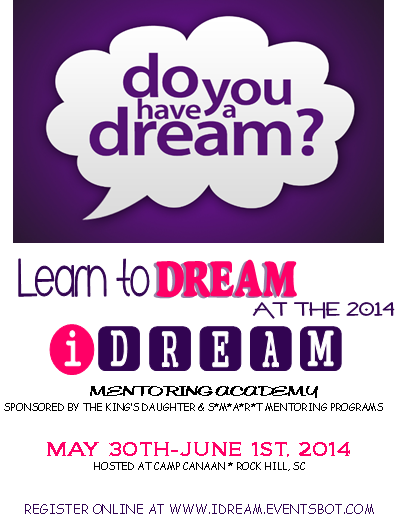 This will be a mentoring experience like no other! I guarantee that your daughters will experience a life changing experience. Living the Dream is the title of a show featuring the Jonas Brothers (young Christian brothers whose talent has catapulted them to 'tween' stardom). They are living their dream of being performers, songwriters and stars. This year's theme encourages the girls to find their hidden talents and become the stars God has created them to be. We are encouraging them to 'Live the Dream'!